A trip to MotoWorld earlier today proved to be more eventful than expected – unfortunately not of the pleasant kind. Nah. It has nothing to do with MotoWorld per se. Just when I completed my shopping, I decided to head home. So I geared up and inserted the key into the 200NS and turned the bike on. The LCD cluster did its startup initialisation routine as usual, and then I hit the started button. The entire cluster went dead! Repeated hitting on the starter button yielded absolutely nothing – not different from when the key was in the OFF position. Cycling the key between ON and OFF resulted in nothing too. My first thought was – did I blow the main fuse? As I was at MotoWorld’s premise, I wasn’t too worried. They have a motorcycle workshop here, and I’ve heard good things about them. But still, I wanted to attempt to diagnose this myself before pushing the bike into the workshop and asking for help. As I was removing the seat covers from the bike to gain access to the main fuse, the LCD cluster suddenly came back to life! (I had left my ignition key in the ON position.) I noticed the initial glow of the speedometer cluster and the familiar initialisation routine. Happily, I went to the front of the bike and tried to hit the started button again. The entire cluster went dead! Again! Still with the key in the ignition ON position, and while waiting for the LCD cluster to come back to life again (another about a minute later), I noticed the LCD cluster displaying a error message / error code just before the initialisation routine. Strange error message on the Pulsar 200NS LCD cluster. H:13 JL17?? 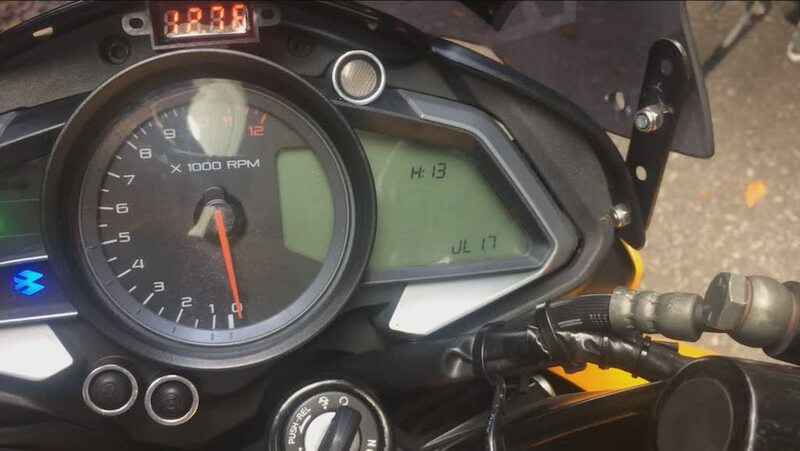 I have NEVER come across anyone reporting such an error message on the Pulsar 200NS, and have not come across any list of error codes for the 200NS. Being a budget Indian bike with minimal sensors, I wasn’t even aware that the 200NS was capable of reporting error codes! I performed the “press starter button, soft click, bike completely dead, wait, error code, initialisation” routine a couple more times, and traced the soft clicking sound to the additional power relay that I had installed to isolate the additional electronics on the bike with the main circuit. Now, this makes sense. As the bike “turns off”, the relay doesn’t receive energising power, and “clicks” back into the (normally) OFF position. I can also tell with the extinguishing of my voltmeter (which is connected to the output of this relay) whenever the bike dies. So with the clicking sound explained, it’s unlikely the relay causing the phenomenon – as if it’s a short, the fuse would blow instead to causing the shutdown. This also meant one thing – the starter motor never turned. At all! Not even a click! With an error code like this, I started suspecting electronics. So my primary target now is the CDI. I went for the CDI connector, pulled it out, and reseated it. Turned the key to the ON position, and hit the starter button. Vvrrrrroooooooom! SUCCESS!! The bike came back to life! It was the CDI after all! Thankfully, I managed to sort this out without having to push it into the workshop. This is not the first time I had issues with the CDI connection. Sometime last year, when I rode up to Thailand, I experienced erratic tachometer readings, random misfiring, and engine dying that was later traced to a loose CDI connector. And with today’s diagnosis, I’m not too happy with the connection there. Well, at least I managed to bring my bike home. Will have to find some time another day to take a look at that connector there. That will make things horribly difficult in the event a CDI swap is required! Hahah. Faced same issue this morning with my pulser 200 and you wrote this blog at perfect time. Will try out playing with CDI connector in the evening. Thank you very much!! Good luck! Let me know how yours turns out! Hello! I have a problem with the code H13 JL17. I can not understand what the problem is, the bike and start working, but often appears the problem with the code .. and reset the clock. BIKE 4 years. Can this problem akamulyatori? and how can this problem relate CDI? and what to do to get rid of it! thank you! Hi. Quite frankly, I’ve got absolutely NO IDEA what that error code means. The CDI was my “best guess” diagnosis, and in my case, the error seem to have went away without returning (so far). I’m not quite sure if the problem is “akamulyatori” as, like the error code, I really don’t know what “akamulyatori” means too. I’ve tried writing in to Bajaj and asked for help, but the customer service email address seem to be channeled into an abyss as I’ve never received any response from them despite writing to them on multiple occasions. Good luck with your bike! sorry I meant “battery” and you changed the battery and nothing changes? I did not have to replace the battery. Have you tried asking a Bajaj repair centre? I am experiencing the same problem again and agian after riding 33000 kms in 200ns .the workshop asked me to change the battery…is the error code do any thing with the battery. According to the local Bajaj mechanic in Singapore, this error code is related to the battery. He mentioned that he sees it pretty often when he changes battery. Strangely, I didn’t encounter that when I replaced my battery myself. Also, I’ve not experienced the message since my last (and first) encounter. 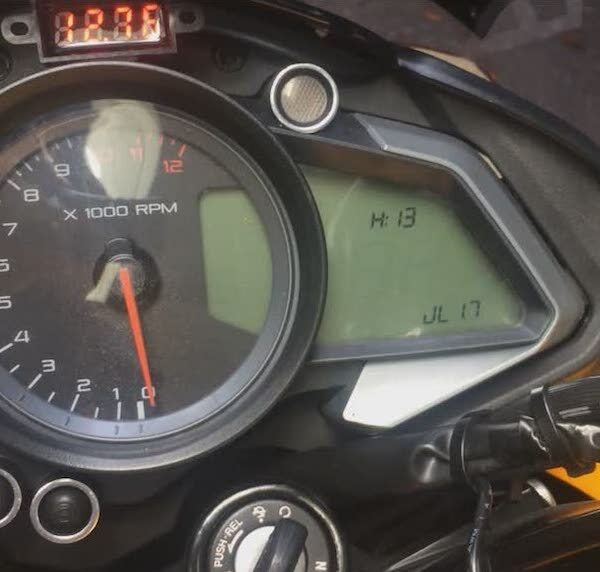 Hi I am facing some other issues with my 200NS the digital meter is showing up a strange error code JL011 ,and then the bike refuses to start i can hear the starter is firing but the engine just refuses to start.Can anyone please throw some light on this issue? Try re-seating the battery terminals and the CDI connector. These strange error codes seem to point to some electrical issue – and the electrical circuits on the Pulsar 200NS is relatively simple.